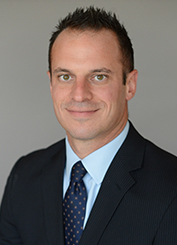 Mr. DePonio is a key member of L. Mason Capitani CORFAC International’s established Industrial Properties Division and he is instrumental in defining the direction and structure of both current and incoming agents on the team. Mr. DePonio is widely credited with implementing growth strategies that have paved the way for the firm to exclusively list over nine million square feet of industrial property in the region. He continually increases his market share by building long-term relationships with both institutional and entrepreneurial clients. His experience as a licensed builder has benefited him in the completion of several build-to-suit transactions on behalf of his clients. Mr. DePonio has shown an innate ability to relate to both the nuances of the transaction as well as the economic feasibility of the project. Mr. DePonio has completed many of the largest single transactions in the region including the sale of the 730,000 former Visteon plant in Chesterfield Township on two different occasions. His diligent hard work sets the tone for the firm as one the top producers year in and year out. Mr. DePonio is a graduate of Michigan State University in East Lansing, Michigan. He is also a member of the Society of Industrial and Office Realtors (SIOR).